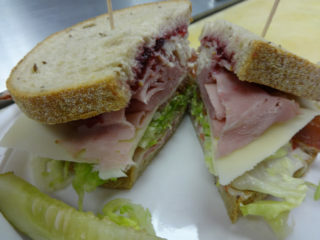 Adamm’s Deli is a family business proudly owned and operated by Bill and Adamm Houck, father and son. 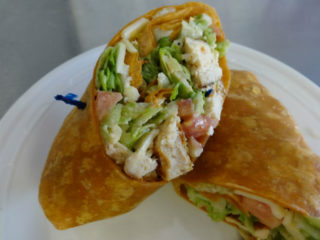 The restaurant opened for business in 2007, with a goal to provide delicious, comfort food, quickly and courteously, as an alternative to usual, fast food. 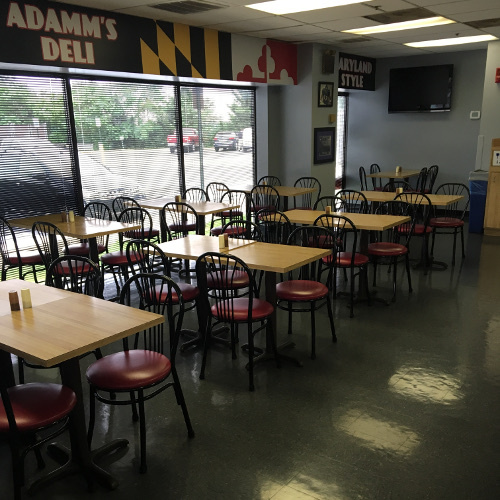 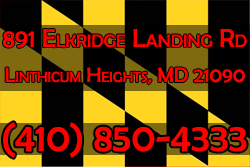 Located in the busy Airport Square area close to BWI Airport, Adamm’s Deli serves breakfast and lunch to many employees who work in the area and to guests of the nearby hotels. 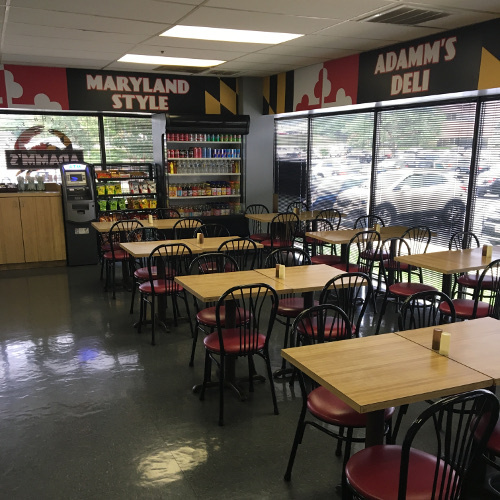 The deli’s open kitchen design allows patrons to watch their food preparation process unfold and to interact with the always friendly staff, and the big screen TV is always tuned to the ESPN channel. 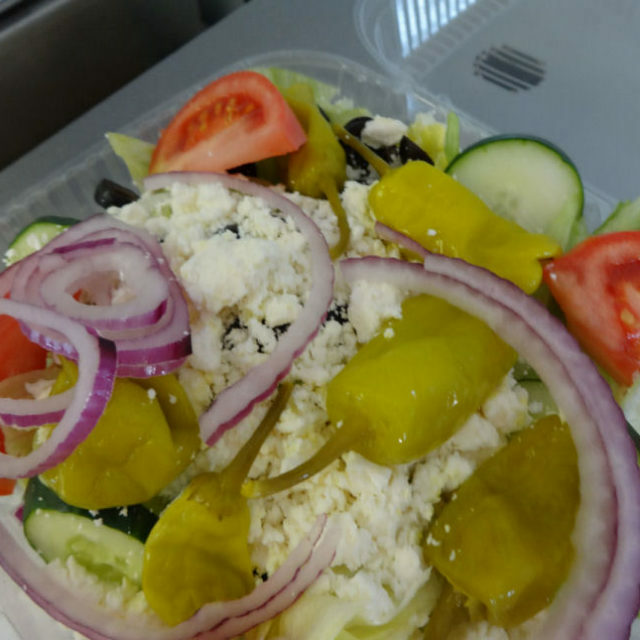 In door and outside seating is provided, and the deli also offers carry-out and catering services. 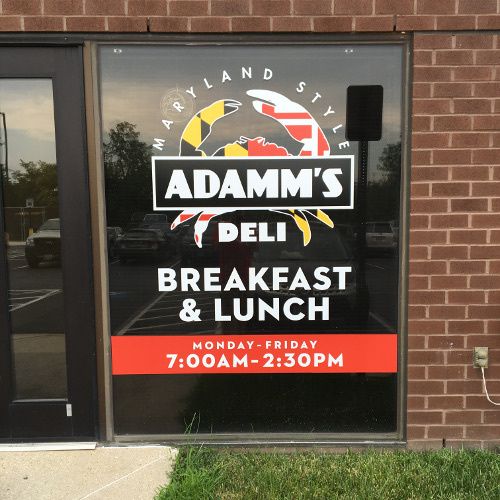 Adamm Houck is the General Manager and a magician at creating simple, over sized sandwiches, bursting with meat, cheeses, veggies and home made sauces. 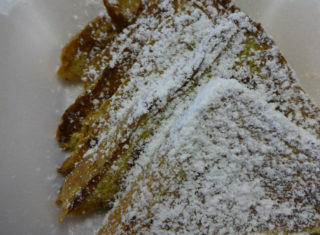 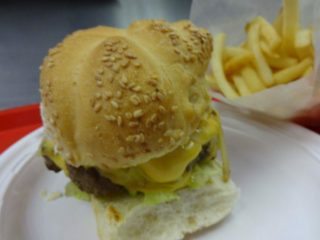 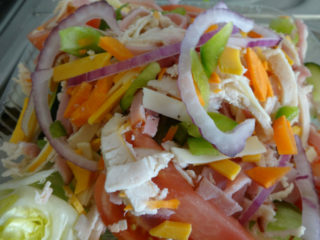 His emphasis is always on freshness, and each sandwich is made to the customer’s specifications. 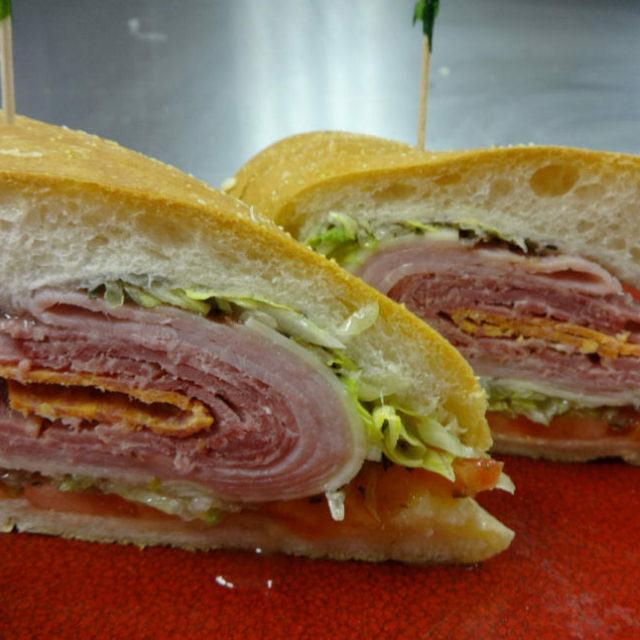 Delicious sandwich made with more meat than you can imagine! 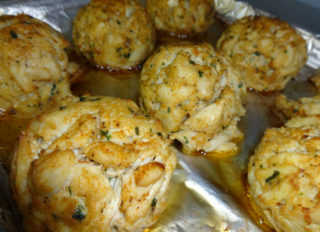 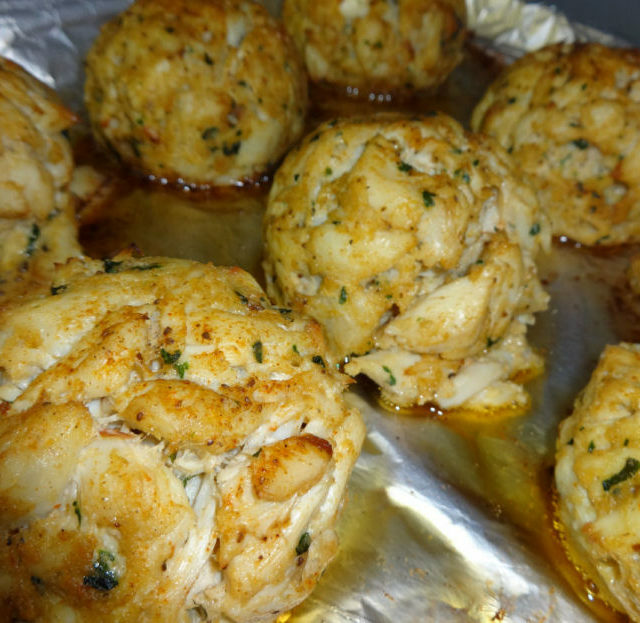 Try the World-Famous Wild Bill’s Crab Cakes! 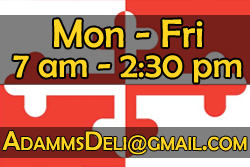 Take time for lunch today at Adamm’s Deli!